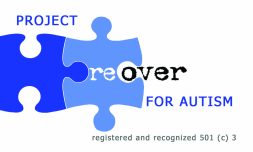 PROJECT REOVER holds celebrity fundraisers to promote awareness of autism and other causes. These national fundraisers focus on the entertainment and fashion industry. Our newest program is Motor Couture, a 40’ Alpha Seeya that has been converted to a mobile lifestyle boutique where a portion of all sales benefit PROJECT REOVER. The Motor Couture brand is a distinct, customizable shopping experience that offers private shopping events and provides a well-rounded representation of a lifestyle boutique. Now in its second year of operations, Motor Couture & PROJECT REOVER continues to expand their visits to include as many cities and states as possible, given the limitations of their schedule. There have already been so many success stories and positive outcomes that the staff cannot help but be enthusiastic about their mission.